Buendgens-Kosten, J. (2015). Review of ‘Exploring English: Language and culture’. Studies in Self-Access Learning Journal, 6(1). The popularity of MOOCs – massive open online courses, i.e. online courses that can be used by large numbers of learners without formal entrance requirements – has skyrocketed in recent years, with a broad range of courses made available by major MOOC platforms such as Coursera, Udacity or EdX, but also by smaller providers. At the same time, very few MOOCs cover language learning. This review will discuss one MOOC – ‘Exploring English: language and culture’ – that attempted to close this gap, and will describe the specific challenges that language learning poses for MOOCs. 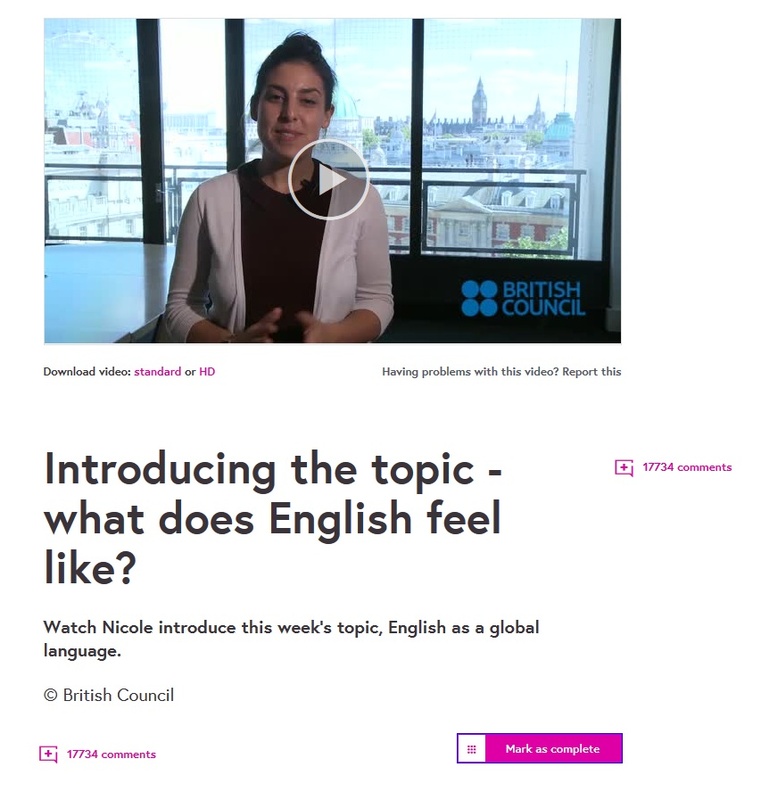 ‘Exploring English: Language and culture’ was a free 6-week MOOC by the British Council (lead educator: Chris Cavey) that ran on the FutureLearn platform (https://www.futurelearn.com/courses/explore-english-language-culture) from September 1st till October 12th 2014, and which is scheduled to be repeated in February 2015. More than 70,000 users from all over the world had registered for the free course (British Council, 2014), though total participation can be expected to be lower, and to be characterized by the pattern typical for MOOCs, i.e. high initial registration but very low completion rates (Prentis, 2014). The course focused on learning English as a foreign language at B1 level (Council of Europe, 2001), but also included content learning about a wide range of cultural topics as well as opportunities for intercultural learning, primarily through interactions between learners. ‘English: The global language’, ‘Music: Making a difference’, ‘Countryside: A green and pleasant land’, ‘Literature: Books and identity’, ‘The environment: Saving the planet’, ‘Entrepreneurship: Building a business’. Introduction: A video introduces the topic, and is followed by a discussion question about that topic. Listening: An interview with an expert on the topic, taken from the ‘English is Great’ British Council video series (https://learnenglish.britishcouncil.org/en/britain-great-episodes/english-great), is used for listening comprehension exercises. Short texts and discussion questions complement this section. Language focus: Explicit grammar teaching and grammar practice are the focus of this section, tied in with the video material from the listening section. Specialized vocabulary for the unit may also be introduced here. Wrap-up: The wrap-up primarily consists of discussion questions. All writing (discussion questions) was submitted to a simplified online forum, where participants could post their texts, reply to each other’s contributions, and ‘like’ relevant contributions by other learners. Quizzes were used throughout the course to test listening comprehension, content knowledge, and linguistic skills. They served as formative assessment only, not impacting course outcomes. Overall success of the course was determined by percentage of tasks self-marked by learners as ‘completed’, with a 50% completion rate (including attempts at all quizzes) required for purchasing a ‘Statement of Participation’, which was available for £24 plus shipping. Accordingly, the ‘Statement of Participation’ does not function as certification in the sense of providing evidence that specific learning goals have been met. As mentioned above, up to now very few MOOCs for language learning have been developed . MOOCs can efficiently make instruction available to large numbers of learners, e.g. via lecture videos. Yet, explicit instruction is only a small part of contemporary language learning. The ‘massiveness’ of MOOCs though means that direct interactions with teachers and course tutors is not feasible as a key didactic component. At the same time, multiple-choice tests, which are acceptable choices for testing content knowledge/explicit knowledge, cannot reflect the whole breadth of learning in FLA. Automated grading/feedback of work, a good option e.g. for programming assignments, is being developed for different writing contexts, but may suffer from limited reliability, high costs, and low learner acceptance. Peer feedback, an option unpopular among learners in other courses, may bear even more potential for conflict in language-learning settings. Other courses have tried to focus on drills (e.g. SpanishMOOC (http://spanishmooc.com/)), or limited themselves mostly to explicit instruction with limited practice options (e.g. Coursera’s Chinese for beginners (https://www.coursera.org/learn/chineseforbeginners)) . Exploring English, on the other hand, uses a combination of (formative) multiple choice tests and interactions between learners that do not serve assessment purposes. To make interactions between these large numbers of learners possible, and to reduce a feeling of being overwhelmed by the large scale of user contributions, learners were instructed in adaptive strategies, such as how to check for responses on one’s texts by other learners, how to follow other learners’ posts or only have posts by a smaller number of learners displayed. These strategies, of course, can also be used by offline-course participants who wish to participate in such a MOOC together. At least in the cMOOC (connectivist MOOCs) tradition, though, forming sub-groups of learners is viewed critically, as it may mean trade-offs regarding autonomy, openness and diversity in exchange for increased structure (Mackness, Mak, & Williams 2010). Course-related interactions were not limited to the FutureLearn platform. Learners were encouraged to interact on course topics outside of the platform using the hashtag #Fllearnenglish. A ‘language clinic’ discussion thread was established on the British Council’s Facebook page to assist with specific grammar questions that arose from course material (https://www.facebook.com/LearnEnglish.BritishCouncil/posts/923379744357197). This way, learners were encouraged to interact with course material and topics across their personal learning networks (PLNs). A six week, 2 hour per week course is unlikely to lead to massive language learning gains, but by using the power of learner interactions (which could, for motivated learners, easily surpass the recommend 2 hours per week), course designers gave plenty of practice opportunities to learners of different skill levels. Even though the sheer volume of contributions could be overwhelming at times, the majority of student voices were positive, even enthusiastic. 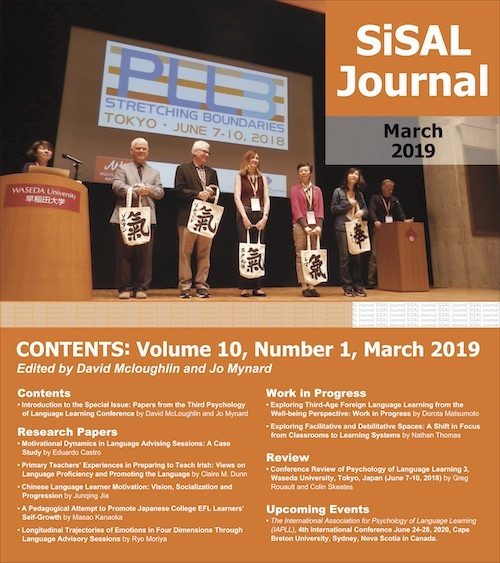 In that regard, especially when compared to drill-focused or instruction-focused language learning MOOCs, Exploring English set a new benchmark. It could not, though, escape the limitations of the cMOOC format more generally, that is ‘one size fits all’ content, limited options for assessment, and dramatic attrition numbers. Dr. Judith Buendgens-Kosten is a postdoctoral researcher at Goethe Universität Frankfurt, Germany. Her research focus is computer-assisted language learning, especially in multilingual settings. Mackness, J., Mak, S. F. J., & Williams, R. (2010). The ideals and reality of participating in a MOOC. In L. Dirckinck-Holmfeld, V. Hogson, C. Jones, M. de Laat, D. McConnell, & T. Ryberg (Eds. ), Proceedings of the Seventh International Conference on Networked Learning 2010 (pp. 266–274). Aalborg, Denmark: Aalborg University. Of course non-language learning MOOCs can be used for language learning purposes, as discussed in Manning, Morrison, & McIlroy, 2014. At the time this review is being written, a MOOC using another format, based on language tandems (tandem MOOC (http://mooc.speakapps.org/)), has just started.